I took some time today to get to know...myself. Here is what I was able to learn from piquing....my own brain, about some recent topics. Bud Selig's statue was unveiled at Miller Park yesterday, what are your thoughts? Giving Bud his own statue is definitely something that the Brewers organization needed to do, but the timing is off. They should have waited until after his term as commissioner has expired in 2012. Maybe they are just concerned they won't be able to honor Selig before the world ends, I don't know. Regardless, it is a well deserved statue to the man who brought baseball back to Milwaukee, the man who founded the very Brewers we love, the man who helped bring Miller Park into existence which ensured Milwaukee would have Major League Baseball for many years. Yes, those three things are enough to warrant a statue. Don't give me none of that "Steroid Era" nonsense, as it means little to the connection between Milwaukee, the Brewers, and Bud Selig. Is there anything that Brewers fans can still take out of the 2010 season? Sure, that we're better than the Cubs, and that Lo-Cain and Jonathon Lucroy are going to be pretty good ball players. Also, we have a good chance at a winning season, and that is something to cheer for. Come September, fans should watch to see the call ups, aka, the future of the organization. Unlike the aforementioned Cubs, the Brewers have some players in the farm, ready to step up to fill some voids. Lucroy and Cain have already proven they can fill two of the Crew's most pressing needs (C and CF), which essentially leaves the biggest need, starting pitching. I think we all know Prince Fielder is in the showcase window with a pricetag of "young starting pitcher of ace caliber" hanging from his jersey. 2011 can shape up quite nicely, so there is still plenty of optimism to be had. 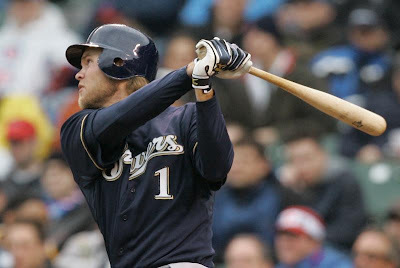 You were adamant on trading Corey Hart, how do you feel about the Brewers signing him? I love it! Listen, losing both Prince and Hart would have been a definite blow to the offense. I wanted to trade Hart because I had always got the impression that he didn't want to be in Milwaukee in the past. As the trade deadline neared this year, it was pretty evident that he wanted to be a Brewer (as opposed to the team's first baseman), and for that, I'm happy to have him. Some people are worried about repeating a lesson learned from Bill Hall, but really, Corey has had a longer sample size of success. He can be streaky, but I see more good than bad from Corey and am excited to watch him play for the next couple of years. So, if Prince is traded in the offseason, like many think he will, who covers first? Yes, Who will cover first. *sighs* nevermind, you obviously don't get a joke. Mat Gamel will cover first most likely. Though it is curious that he continues to play both RF and 1B in AAA. I suppose that leaves the option that Corey Hart can play first, he was drafted as a first baseman after all. Hart's length would help the other fielders (think Derrek Lee), and Gamel has a canon for an arm, so I wouldn't rule it out. 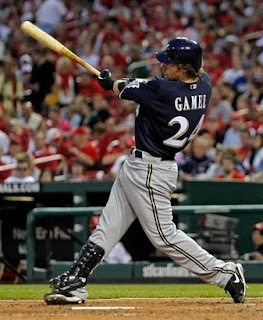 I still think Gamel is your 2011 first baseman. Who will be managing the Brewers next season? Willie Randolph...and I'm done explaining myself, your guess is as good as mine. Though I fully intend to gloat if I'm right. Minnesota is paying an awful lot of money for a QB who is going to be what 41? 54? Too old to drive? I say let them. He won't be the same guy who put up career numbers in 2009 (I hope), something has to give. I mean, there is a lot of responsibility on someone who is playing QB, coaching, and taking care of GM duties. But seriously, who is running that team? Sure, Brett Favre hurt me as a Packer fan, and I realized that he is a selfish man but I've moved on. To me though, there is no story here, we all knew he would be coming back. The real story is how Brett likes to be comfortable, whether it is comfort while wearing Wranglers playing backyard football or comfort wearing Crocs while allegedly....well, you know the story by now I'm sure. The man likes comfort, including the comfort of having an entire football team/coaching staff grovel for his return. There has been a lot of talk of Superbowl for the Packers this year, some think it may get into the player's minds by setting the bar too high. I love that the Packers are being hyped. I also love how the players themselves are talking about it. It isn't the goal going into training camp, to be the Conference or Division champs, it is to be Superbowl champions. All of the other teams want and feel the same thing, and I applaud the Packers for embracing it and being honest. For example, Bret Bielema's, "1-0" approach every week is a bunch of nonsense, the players know damn well what their record is and where they stand in the Big Ten. Back on the Pack though. The thing is, they have a talented enough team to be Superbowl favorites, coupled along with the fact that the Packers are one of the Nation's most popular teams, means the media is going to hype the hell out of them. Let's have fun with it! You used to write a lot for this blog, and many of those posts used to be funny. Now, you barely post anything and well, you resort to weird tactics like interviewing yourself, what's up with that? This summer has been a fantastic. The weather has been great, and I've been doing a lot of fun stuff. So, just back off of me. Also, I seem to have lost my funny. This can be evidenced by my lack of funny twitterings as well (follow my personal account at @diddy05). I have some theories for this, but most of my theories involve a nun, a priest, and a rabbi. Although I did make a funny joke: Jesus walks into a bar and orders a water. The bartender looks at Jesus and says, "not this time Jesus, you are getting a wine and paying for it"
I saw Cats and Dogs: The Revenge of Kitty Galore (true story), but, I wouldn't really call it good. I expected crazier from Nick Nolte's voice. Date Night was hilarious, but I have to say Meet the Schmucks was quite a letdown. I went into Kickass with different expectations than what it actually was, so I want to give it another try. To answer your question....no, not really. You spoke on Twitter during the Bucks playoff run about Milwaukee getting an NHL team. Expand on that. "Expand on that"...what is this, Larry King? Yes, I've never been a big hockey buff, especially of the NHL, but I love going to games, and really, I want to become a fan. Part of this comes from my dislike of the NBA and my need for some sort of sport to follow other than NCAA hoops. I really think Milwaukee would be a good NHL town, especially compared to some of the cities down south that don't care about hockey in the slightest. Of course, Milwaukee couldn't support both an NBA and an NHL team, so the likelihood of it happening are slim to none. Live hockey games are the best, and I have started going to more Admirals games, but it isn't the same. I'm not sure there is another sport that has such nonstop, hard-hitting action. I'm not sure there is anything quite as exciting as playoff hockey, and I feel like I'm missing out on it. It's an absolutely wonderful game that I need to learn more about. Do you have any Fantasy Football tips for your readers? Nope. Well, just one tip: If you draft Brett Favre you are a traitor to mankind. How about instead of interviewing yourself, you get real questions from readers or friends? That's a great idea! If you have a question you want answered, be it about: sports, current events, beer, the weather, etc... then write us at wisconsinsportstap@gmail.com or send us a question via twitter at @WI_SportsTap. You can always leave a comment on the message board as well. The long grind of the major league baseball season is in it's stretch run with labor day drawing closer. Contending teams watch the waiver wire for that last veteran piece to help secure a spot in the post season. The rest of the league? Just playing for pride, which leaves fans less than interested in the September goings on. But there will be a reason to watch Milwaukee come September, roster expansion. With the team out of contention there should be prospects aplenty in the Crew's dugout this year. For a change, this group of call-ups could feature a look at some of the team's top pitching prospects instead of the hitters seen in recent years. Carlos Villanueva - RP - Almost forgot he was still on the Brewers didn't you? Villa can help the team, if only to eat innings. He's pitched in six games since his demotion, sporting a 3.86 ERA. Boring, but he'll be back. Mat Gamel - 3B/RF/1B - The third baseman/first baseman/right fielder had better be promoted. He's hit .319 with a .394 OBP and sits second on the team with 59 RBIs despite only playing in 71 games. 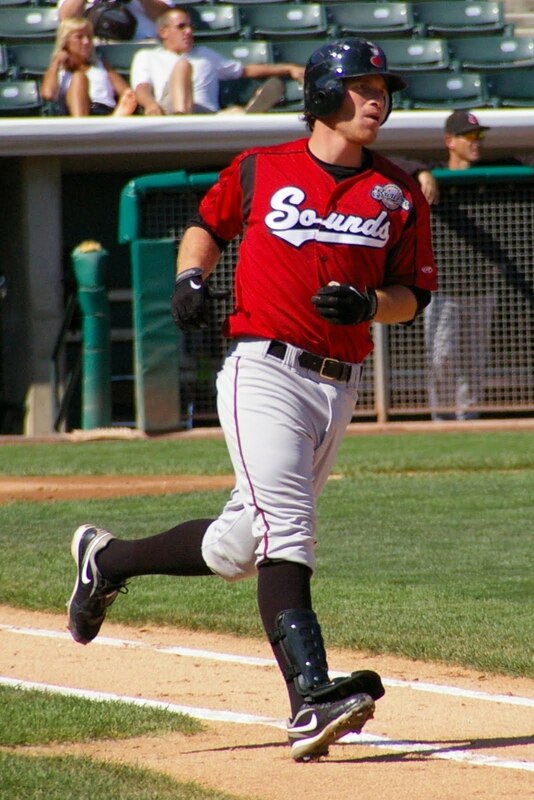 Not to mention the fact that he could be the opening day first baseman in 2011. Carlos Gomez - CF - That the Brewers are considering burning one of Gomez two remaining option years to keep him in the minors until rosters expand tells you how unimpressive he has been this season. He'll be with the big club before the season is up, it's just a matter of whether or not that is before the September expansion. Mitch Stetter - RP - He certainly hasn't pitched well at all this year, a 7.50 ERA in the minors and a 14.73 ERA in the minors, which is precisely why he should get a call-up this September. 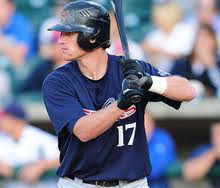 Bring Stetter up to see if he can be effective in the big leagues at all, if he can he stays on the 40-man and gets a chance to win a roster spot next spring. If he can't, he is wasting a 40-man spot that the team could easily use on someone else. 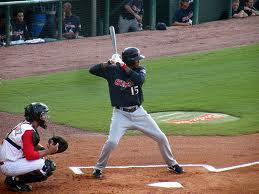 Luis Cruz - SS/2B - Signed primarily to provide depth, Cruz has had a nice season for Nashville. He's hit .281 and sits second on the team with 171 total bases. 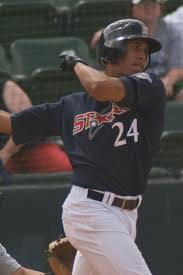 If the Brewers do decide to move Craig Counsell then a Cruz call up would be certain and wouldn't wait until September. Josh Butler - SP - Not that Butler has pitched all that effectively this year, but the team still seems to have faith in him. Since he is already on the 40-man roster it would seem a waste to not bring him up and let him make a few spot starts in place of a Chris Narveson or Manny Parra. Because he struggled with injuries early in the season, inning counts would not be a concern either. Jeremy Jeffress - RP - This one could help the team and reward Jeffress for *seemingly* turning his life around. He's shown marked improvement in his command while pitching out of the bullpen for Wisconsin, Brevard County and Huntsville this year. For the Crew's Double-A affiliate Jeffress has struck out 10 batters in 10 innings while only walking one, he has yet to allow a run. 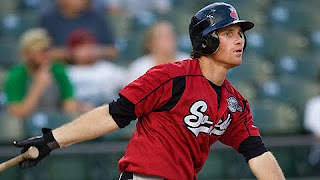 Brett Lawrie - 2B/3B - His defense may not be impressive, but his offense is. I don't think the Brewers should call-up the Canuck, but his play at Double-A this year would certainly warrant it. Whether it's the 34 doubles, 15 triples or 77 runs scored (all of which lead the team), Lawrie's bat has been as advertised. The Brewers do have a history of giving good performers at Double-A a promotion as well (Mat Gamel, Alcides Escobar). 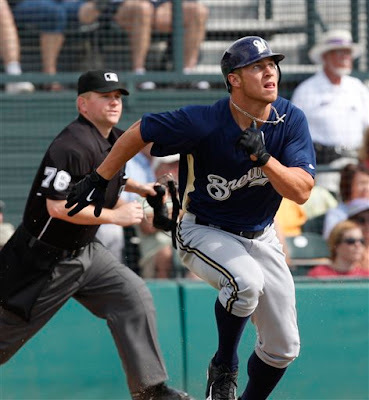 Lawrie is not currently on the 40-man roster though, maybe he would take Counsell's spot? 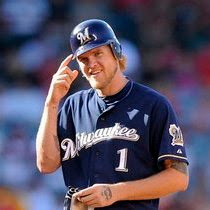 Brandon Kintzler - RP - Think "John Axford." 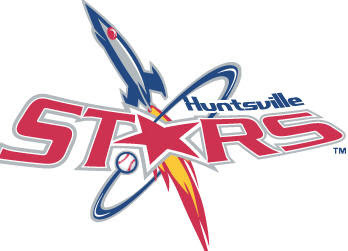 Kintzler was a cast off, but has showed impressive command with Huntsville and Nashville this year. In the 42.1 innings he's pitched, the righty has struckout 39 batters and only walked four. Not too shabby and the type of player the Brewers like to reward, though he is not on the 40-man yet. Mark Rogers - SP - Whether Rogers future with Milwaukee is as a reliever or a starter, that future is getting very close. He is a ground ball pitcher with very good stuff and the Crew should bring him up to alleviate an overworked Kameron Loe. 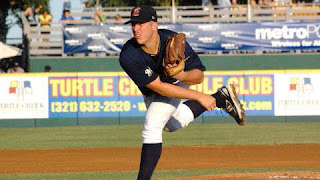 Give him a few chances in the bullpen this September because he will be knocking at the big league door in 2011. Amaury Rivas - SP - Last year's minor league pitcher of the year, there is a fairly strong case to be made for that award to be bestowed on Rivas again in 2010. 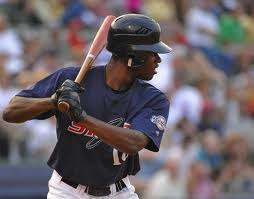 If Rivas is to be considered for a spot in the rotation next season, why not give him a look? He has better stuff than Dave Bush and should be at least as effective as Narveson, but the Brewers patience will likely keep him out of the bigs until next year. Brendan Katin - RF - An all or nothing hitter with a cannon for an arm and country-mile power, why not give Katin a look? Despite being hurt for a big chunk of the beginning of the season, Ryan Braun's former teammate is having one of his best all-around years. 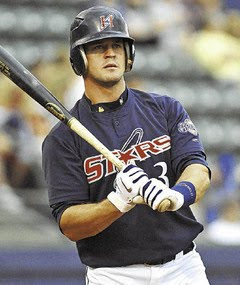 He's hitting .272 with a .374 OBP, both of which would be career highs in Triple A. Maybe he's turned a corner? Either way, fans love the guys who just swing for it. Cody Scarpetta - SP - Had his season been terrible, I would say Scarpetta shouldn't get a glimpse. But since he will reach the major leagues before he can put in an extended period of time in the minors, Scarpetta's second half should earn him a spot in September call-ups. After the all-star break, Scarpetta has a 1.98 ERA with 73 strikeouts in 59 innings. That's pretty good. In the perfect world he wouldn't be on the 40-man roster yet, but he is - so why not take advantage of that? A-ball to the majors is a big jump but a September race for third place doesn't have much pressure involved. Will all these players get a look at the majors in 2010? No. There will also be surprises, players that nobody saw coming. But when you look at some of the names that could get a look, you have to be excited for the future of the club. It turns out there is something to watch for on the Brewers in September.